Earl Wilson has roots in South Carolina, but he has made Eastwick his home for over forty years. He is a retired Philadelphia Public School teacher who has taught hundreds of children science with great passion. The children affectionately referred to Earl as “Miiiiiissssstttter WWWiiiillllssssson” and he would chuckle, but quickly return to the lesson plan. His passion for science and teaching has him committed to organizations such as Eastwick Action Committee, Eastwick Friends and Neighbors Coalition, Darby Creek Valley Association and the Eastwick Lower Darby Creek Area Community Advisory Group. Collectively with Eastwick Friends and Neighbors Coalition, Earl has received the Bread and Roses Award for his dedicated work in Eastwick as a community activist. He is also the proud recipient of the Eastwick Lower Darby Creek Area Community Advisory Group Leadership Award and just recently received the Darby Creek Valley Association Ribbon of Green Award for his lifelong dedication and commitment to over forty years of service to Eastwick and the surrounding communities. Nothing seems to slow Earl down as he continues to forge ahead with his journey of teaching and community service. Derron LaBrake, DCVA’s 2nd V.P.-extraordinaire, and Principle, Wetland and Ecology, Inc with DCVA’s highest award. Derron is an expert in all things wetland. Put him in a wetland meadow, swamp, vernal pond, or stream and he effervesces with enthusiasm. 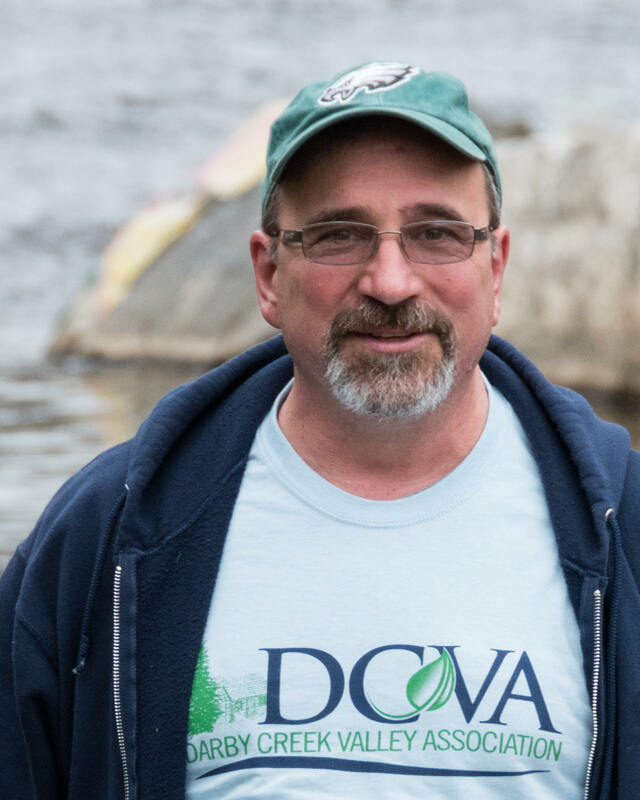 He uses his knowledge of sediments, ecological risk assessment, eco-friendly stormwater control measures, macro invertebrates, plants, bugs, wetland habitat restoration, Tussock Sedge, bog turtles, and peepers to assist DCVA and the community with a wide range of projects. 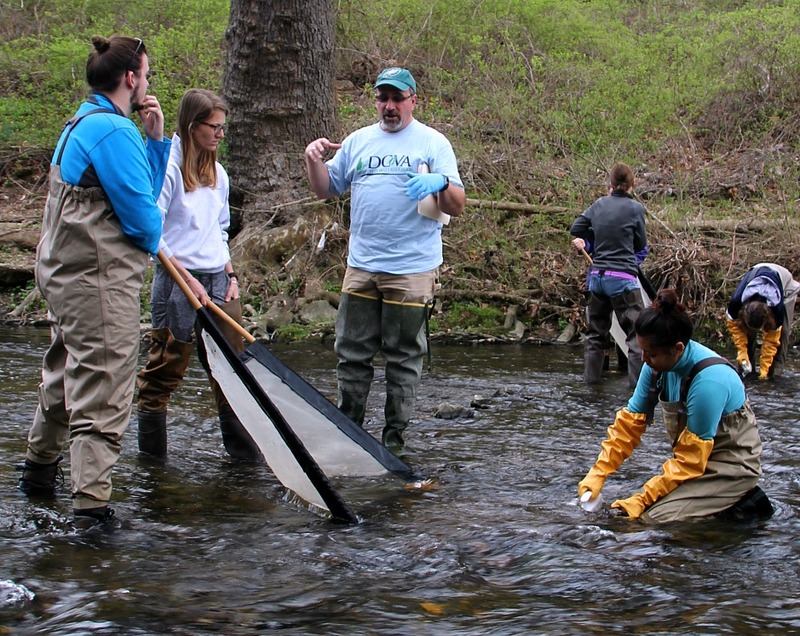 From participating in DCVA’s Stream Watch and Insect Identification Workshop; To conducting the Spring Peeper Walk at Haverford CREC; To restoring the Meadowbrook Run wetland at Country Day School of the Sacred Heart, To spear heading metric and macro invertebrate collection at 3 sites for the Delaware River Watershed Initiative; To expanding macro and metric collection to 10 sites; and To collecting macro-invertebrates at Whetstone Run and submitting the data to PA Environmental Quality Board which voted to have PA-DEP perform a study to determine if the southern tributary meets criteria to be re-designated as a High Quality Water, Derron is a tireless advocate for the protection of the environment and the community. Anna Jackson was the very worthy Ribbon of Green Awardee in 2016. Ann is involved in almost every aspect of the work of DCVA. She participates in the Stream Watch- Ann is on the left in the photo at left below. 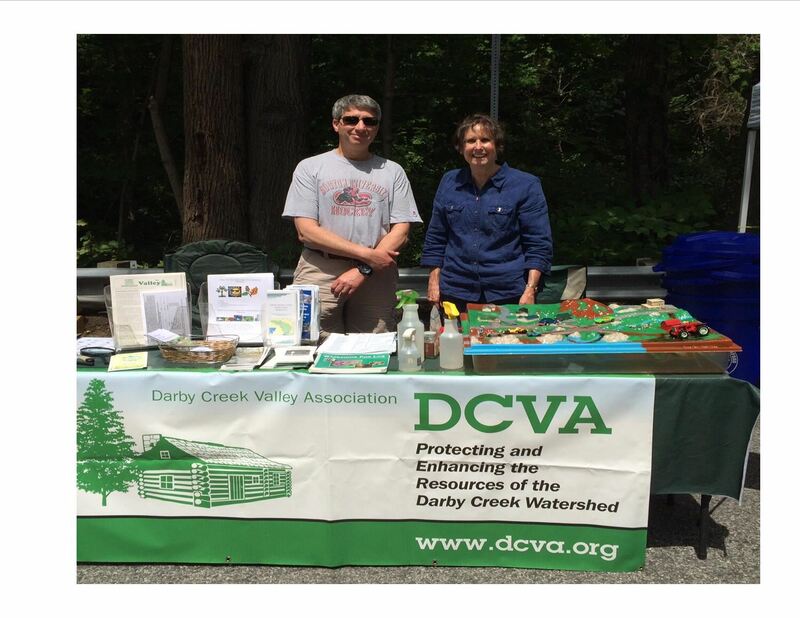 She is very active in educational activities- she is pictured on the right below with DCVA vice president Alan Samel at Haverford Day where Ann and Alan teach citizens about stream ecology every year. 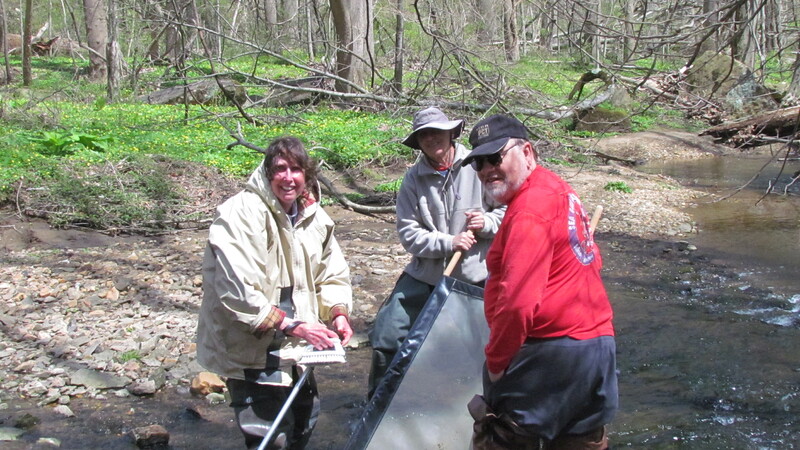 Ann helps out with other educational activities as well; every year she participates in the stream studies that are carried out by the environmental studies students at Marple Newtown High School. Recently she participated in a stream study with a group of home schooled fourth graders and also helped students at Lansdowne Friends School to install native plants on their school grounds. Ann is the recording secretary of DCVA and she processes hundreds of copies of the DCVA newsletter The Valley to mail. Congratulations Ann!